Malcolm Gladwell's provocative new #1 bestseller -- now in paperback. Three thousand years ago on a battlefield in ancient Palestine, a shepherd boy felled a mighty warrior with nothing more than a pebble and a sling-and ever since, the names of David and Goliath have stood for battles between underdogs and giants. David's victory was improbable and miraculous. He shouldn't have won. 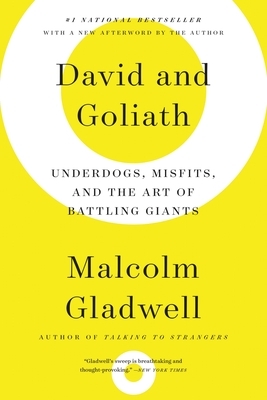 In the tradition of Gladwell's previous bestsellers-The Tipping Point, Blink, Outliers and What the Dog Saw-DAVID AND GOLIATH draws upon history, psychology and powerful story-telling to reshape the way we think of the world around us.